The Fall issue of Sweet Paul Magazine is out, a fun combination of two of my favorite things! In addition to some amazing costume ideas and great Fall decor, this issue is packed with a ton of too good to be true chocolate dessert recipes like salted chocolate caramel tarts and chocolate cake with peanut butter filling. As if Fall treats weren't hard enough to resist!! 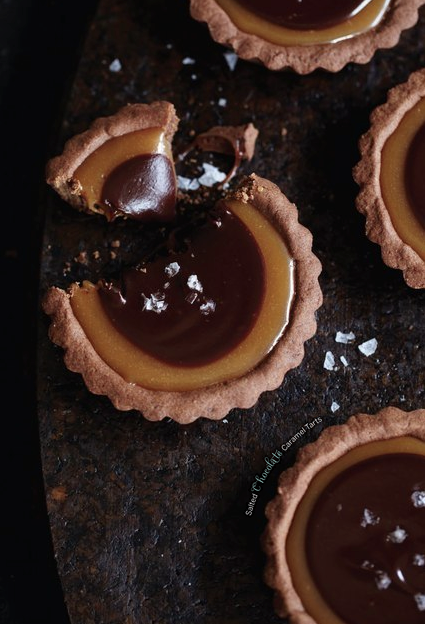 Check out the recipe for these yummy salted chocolate caramel tarts on page 63!